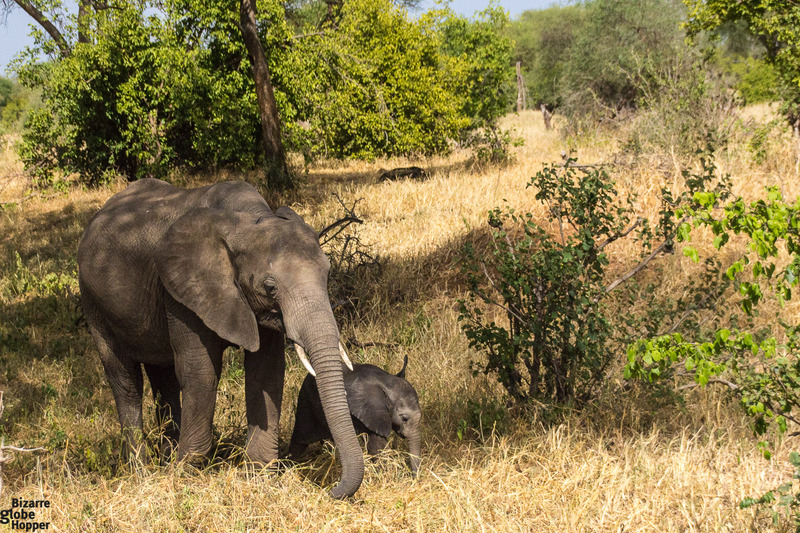 Tarangire is often said to be the best National Park to see elephants in Tanzania. True enough, you can see herds of up to even 300 elephants roaming the vast plains. 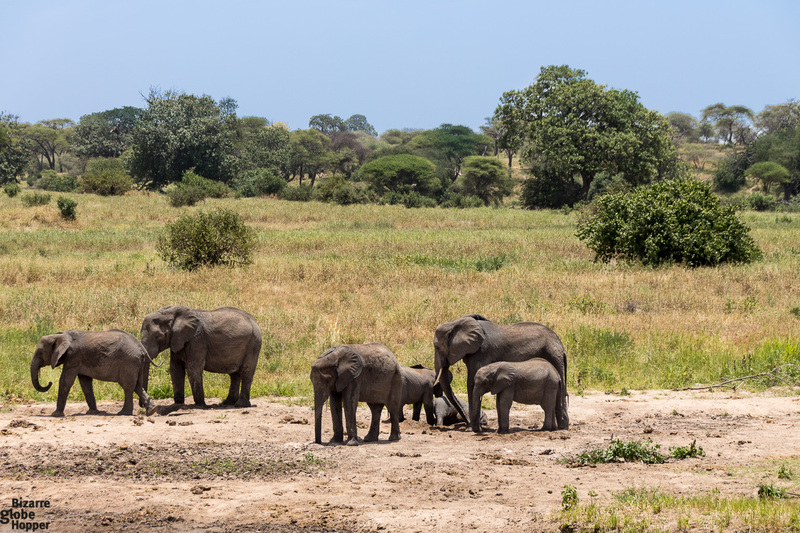 Tarangire National Park also offers the greatest concentration of wildlife outside the Serengeti ecosystem, so you will have opportunities to spot a wide arrange of other animals as well. Besides the mobs of elephants, the migratory wildebeest, zebras, buffalos, impalas, gazelles, and hartebeest crowd this National Park. And these are just to mention a few species from this 2850 square kilometers’ area of shifting landscapes. Getting There and When to Go? The easiest way is to drive from Arusha, where most of the safaris start from, following a surfaced road to the main entrance gate. Tarangire National Park is also easily accessible from Lake Manyara. 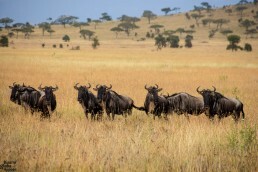 The most common option to continue from here is to the Ngorongoro and the Serengeti. 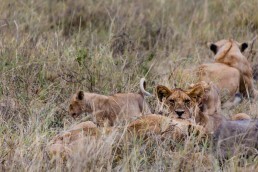 There are also charter flights from Arusha and the Serengeti if your wallet allows it. You can visit Tarangire year round, but dry season (between June-September) gives you the highest number of animals. 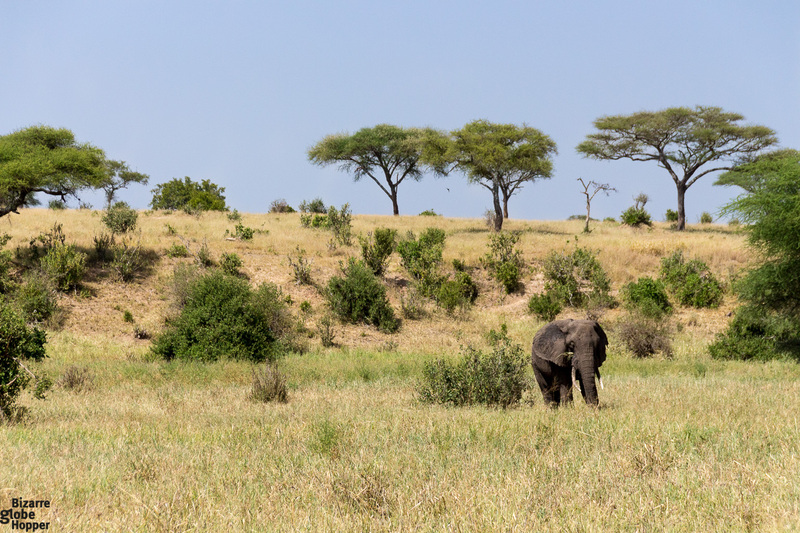 No matter is it the dry or wet season; you can easily spot the mobs of Tarangire’s magnificent elephants. We visited in March and enjoyed the advantage of seeing lots of baby animals. 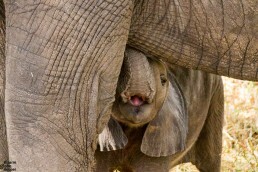 A baby elephant is taking a sand bath in Tarangire National Park in Tanzania. Can you imagine a place where almost everywhere you lay your eyes on, you can see something new? An animal, a bird, a tree you’ve never seen before? 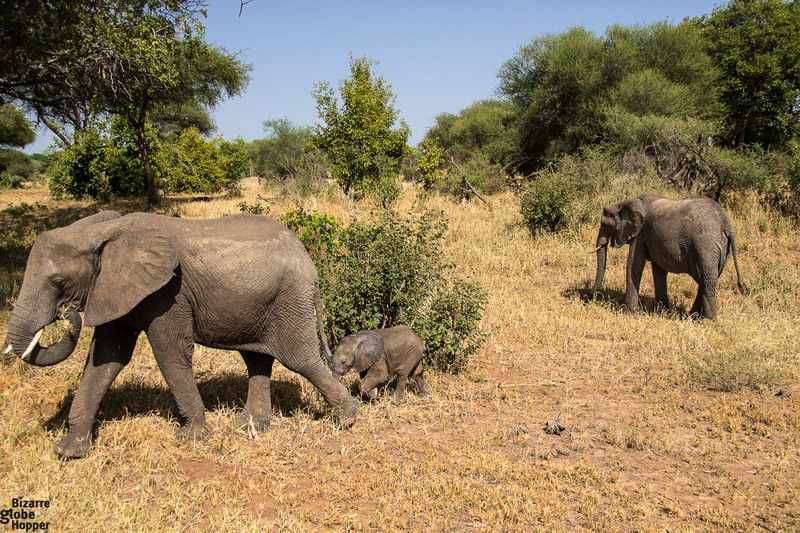 There are numerous elephant families walking on the savanna with their slow, majestic way. 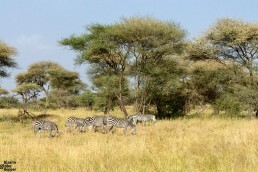 Zebras and warthogs are eating grass side by side in the shadows of the old baobab trees. The pythons, lions, and leopards of Tarangire climb trees, where they can be so well disguised that only a trained eye will spot them. There are more than 550 bird varieties on the swamps and the Tarangire River is choked with wildlife, no matter the season. It sounds like a paradise for wildlife spotters and that’s exactly what it is. We were in Africa for the first time in our lives when we drove through the gates of Tarangire National Park with our 4WD safari jeep. When we saw our first herd of elephants, the feeling was surreal. The scenery in front of our eyes was one formerly seen on nature documents only, and I had to pinch myself as to believe I was really there and not dreaming. 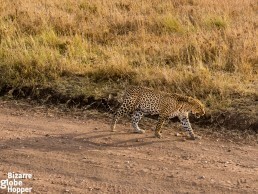 I could smell all the strong and mild scents in the air and I was spellbound with Africa from that moment on. 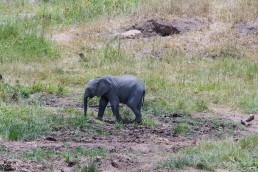 A baby elephant in Tarangire National Park in Tanzania. When driven forward into the park, we encountered many more elephants, both individuals, and packs. 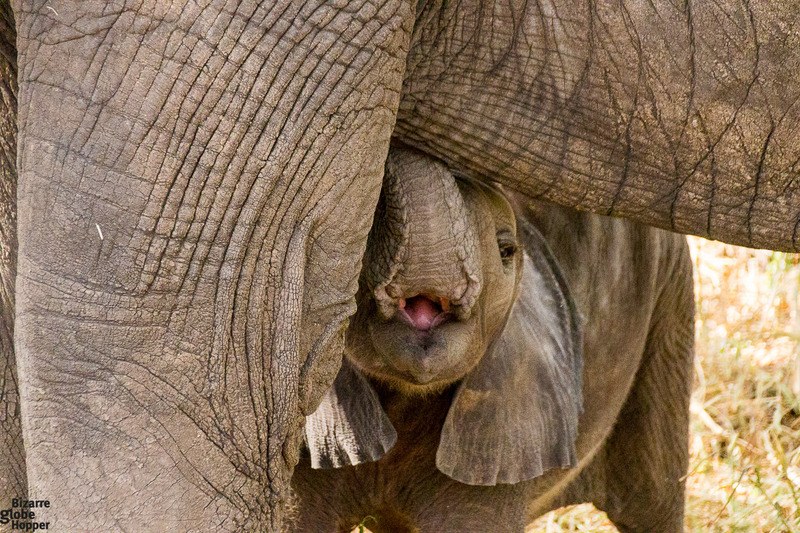 As it was the season of baby animals in March, we came across many newborns. 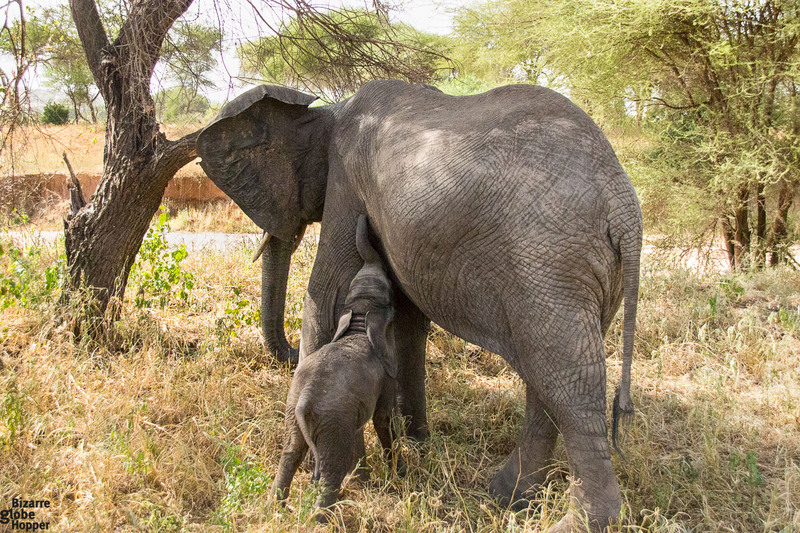 One herd of roughly ten elephants were literally just a few meters away from our jeep, eating peacefully, with many infants among them. Seeing baby elephants in their natural habitat is one of the most adorable things I’ve ever seen and I filled a large portion of my memory card with dozens and dozens of frames of them. This particular heard was also somewhat special to me. 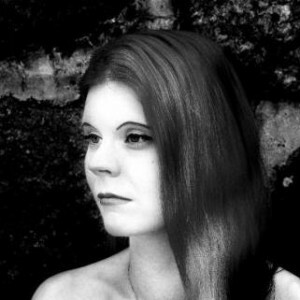 Maybe it was the privilege they let me have – to be so near. I observed them and they observed me, rising their trunks high in the air and sniffing us. I had mixed feelings of slight fear and huge respect especially when the big males were staring right at me, almost on a touching distance. 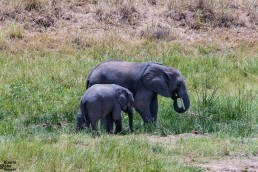 Yet they were undisturbed by our presence and their surprising tranquility made me respect the elephants even more. To fully enjoy the spectacular sceneries of wildlife and nature unfolding before you, you should have a jeep with a pop-up roof. It allows you the 360 degree’s view at all times and so you won’t miss anything.  Though this should be automatically provided by your safari company, it’s worth to double check when booking the trip. If you want to know what else you should take into consideration, check our Comprehensive Guide to Choosing a Safari Operator in Tanzania. 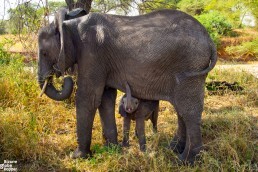 There are up to 3000 elephants in Tarangire National Park during the peak season. Even outside these peak season months, there are so many elephants that you will get more photo opportunities than you can take. 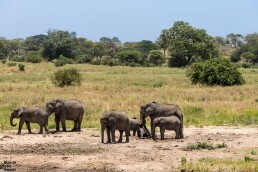 Tarangire National Park is also delightfully less crowded than for example the Serengeti and the Ngorongoro and is often overshadowed by them. It has a fraction of the visitors of the more famous parks of the Northern Circuit, but it has pretty superb game viewing just because of that. The habitat is also entirely different, and fewer people will mean that you’ll get the quietest game viewing environment of all the parks in the Northern region. If this isn’t enough reason to visit this surprisingly large National Park with immense beauty, nothing is. It just offers an entirely great value! Some say that it has less value outside the dry season months, but I disagree. You may see a bit fewer animals in general, but if you go for example in February/March, you will be heartily granted with the high numbers of newborns. 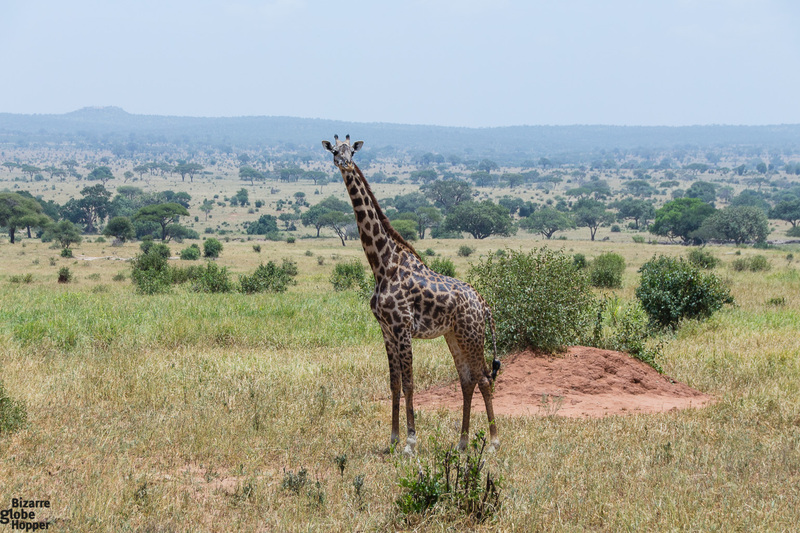 Even though I’m more interested in the mammals and great predators, it is worth a mention that Tarangire National Park is also a bird watcher’s paradise. Not only it has countless species to see, but the swamps are the focus of the largest selection of breeding birds in the world. So if you like to spot birds, bring your keen eye and binoculars here and you won’t be disappointed. There are many options both inside and outside the boundaries of the park and it’s pretty much a matter of what you prefer. Options include lodges and tented camps of variable categories, mainly from mid-range to luxury. 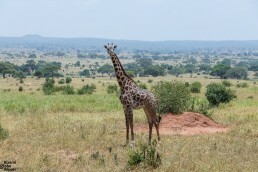 When in Tarangire National Park, we stayed just outside the park boundaries in Maramboi tented lodge. 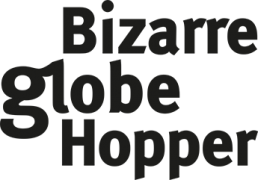 *Disclaimer: We were hosted on a visit to Tarangire National Park on a safari tour with Ombeni African Safaris/Ombeni Foundation, but all the opinions and views are entirely our own. Hi, Robert, and thank you very much for stopping by. I’m glad you liked the story. We wish to come back to Tanzania soon!